A West Virginian sent me these birds pics this morning. 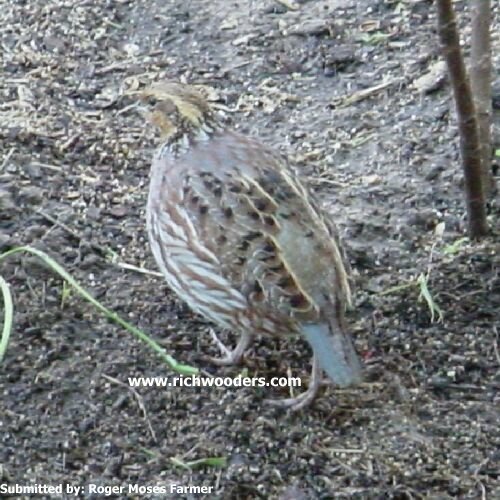 In the body of the message he identified the bird as a Ruffed grouse of some kind, but wasn’t sure. They spend most of their time on the ground, and when surprised, may run for cover or suddenly explode into flight. HABITAT: Hardwood forests with some conifers, dense undergrowth, openings, and drumming sites for males. Male uses logs, rocks, or other elevated sites for drumming in spring. NEST: Nests on dry ground in the shelter of a fallen log, rock, root, or low-hanging conifer limb, usually near the base of a tree. Commonly nests within 100 feet of a road, path, or clearing, and close to a source of water. FOOD: Consumes an extremely varied diet, including over 600 species of plants (seeds, fruits, leaves, and buds), insects, and other animals, although animal food is only predominate in the diet the first 2 weeks after hatching. Roosts: Roosts in snow when snow is deep and soft, or may roost in trees or on the ground. Similar species: Sharp-tailed Grouse is more white and tan than brown or gray and has a long, pointed tail with white outer tail feathers. Spruce and Blue Grouse are darker and lack the black subterminal tail band. 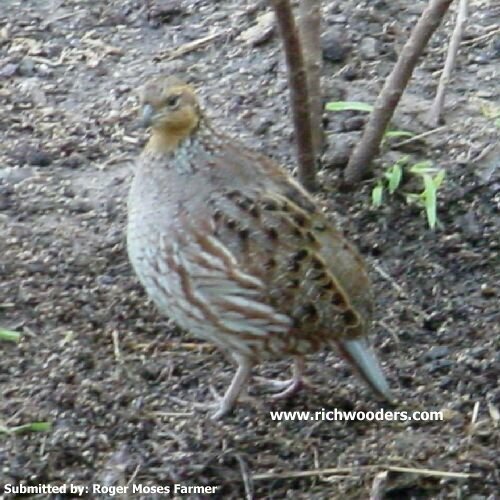 Ruffed grouse (Bonasa Umbellus) use of stands harvested via alternative regeneration methods in the southern AppalachiansDescription: Ruffed grouse (Bonasa umbellus L.) habitat use was studied in the mountains of western North Carolina. In 1997, 9 stands on the study site were harvested via alternative regeneration methods, including shelterwood, irregular shelterwood, and group selection. From 1999–2004, 276 grouse were radio tagged and monitored, resulting in over 7,000 location estimates. Habitat use differed from availability in all seasons. Preferred habitats included gated forest roads, 3–20-year old mixed-oak, late rotation mixed-oak, and mature mesic hardwoods. Shelterwood and two-aged stands created by irregular shelterwood were among habitats preferred in fall, winter, and spring. Group selections were among habitats preferred by broods in summer. Use of alternative regeneration stands began 3 years after harvest and continued through study completion (6 years post-harvest). Hardwood stem density in alternative regeneration stands was within the range recommended for ruffed grouse habitat. With proper implementation, alternative regeneration methods can create quality ruffed grouse habitat in the Appalachian region.